This is a summary for Brinley from 30.5 months to 31 months. She is just over 2.5 years old. Sleeping is back to good. This is not to say that she doesn’t still try out some new tactic, but she is very nice and pleasant for most naps and bedtime. I run into trouble if she is overly tired. Food intake is normal. We have been very strict in the last two weeks about her getting down from her chair while eating. Any time she starts to shift like she is going to get down, I ask her if she is done. She says no. So I tell her to stay in her seat or she will be done. So she stays. I want to work on her asking permission to leave when she is done. She used to before this “get down 50 times a meal” game started, but it was more because she didn’t dare get down by herself (why did I ever teach her? Just kidding). I explain she needs to ask and needs to have her hands and face wiped before she can get down. Improvements are being made, but there is still room for further improvement. 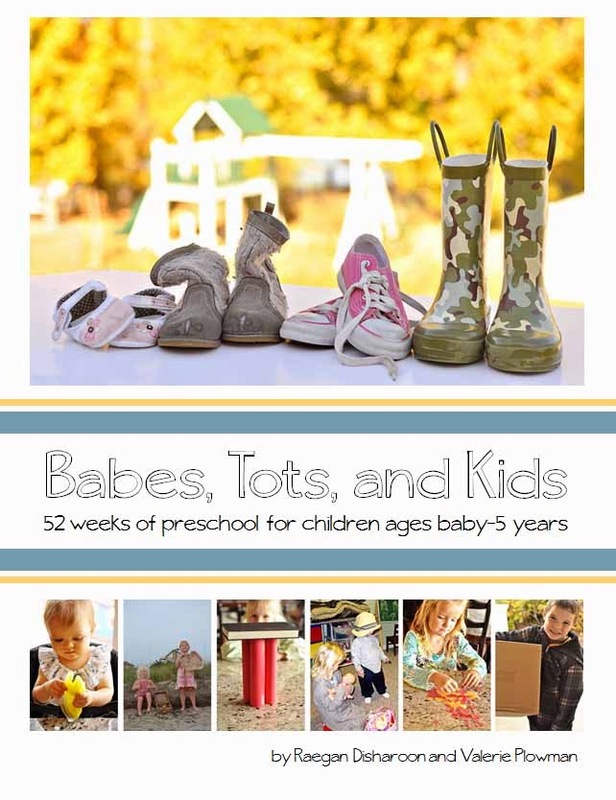 She is still loving her learning time using the Babes, Tots, and Kids curriculum. The last two weeks, Brinley has been obsessed with playdough. Super obsessed. I knew she would love it because she is super sensory-oriented. She loves getting her hands dirty and feeling different textures. I am letting her do a lot of playdough time. 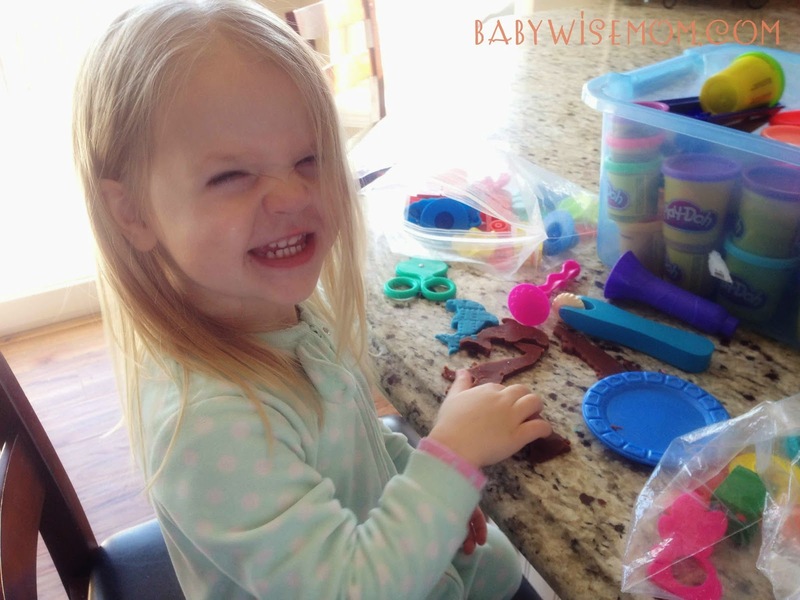 Playdough can work for a lot of activities. It can be sensory. It can be colors. It can be fine motor. It can be letters if you make letters or draw them in the dough. It can be numbers if you count things. Toddlers often grasp onto something and want to do it over and over (and over) again. Go ahead and do that. There is expanded learning from repetitive exposure, so don’t feel like things aren’t varied enough. Brinley picked up her interest in using the potty again, and one day, she actually peed on the potty! She was so excited about it. It is a good step in the right direction. Hi Jersha, if you are talking independent play, just out her in thre and let her play without supervision. If you are talking blanket time, I would only be concerned that she stay on the blanket but wouldn't worry about what she was doing on the blanket. If you are talking table time, try to choose activities she is interested in doing. Length depends on which activities you mean. Thanks Val. I was meaning table activities. I try and choose things she likes, like colouring or play doh etc. But she only sticks with it for a few minutes and then says shes done unless I play too and even then sometimes she's over it. I am trying to build up her sitting/ concentration/focusing skills, but how can I if she refuses too stay put? Use a timer and require her to stay there until the timer dings. Start with only 3 minutes, then add five, etc. What if the threat of taking away the food isn't enough to keep my toddler in her seat? She is such a busy personality and never wants to stay one place for long. She eats like a bird so threatening to take away food doesn't really work for her. Does it not work becuause you don't want to not give her food later when she wants it? Kids are so smart. If you tell her she can eat at her regular meal times and not others, she will pick up on that. If you allow her to eat when she wants and okay when she wants, she has no compelling reason to eat at meal time. An option you have is a booster seat with buckles or a high chair. But that will still only work so long as you are willing to have eating happen at meal or snack times. There definitely can be exceptions at times when your child would legistely need to eat at other times. But if it is a daily thing, she isn't eating enough at meals.